Unison Gifts brings us this beautifully crafted Angel with Golden Wings. She is spreading joy by playing her harp. 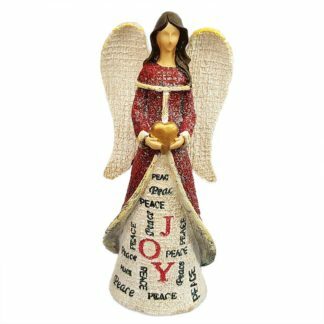 She has the phrase “Joy in your heart” on her dress. 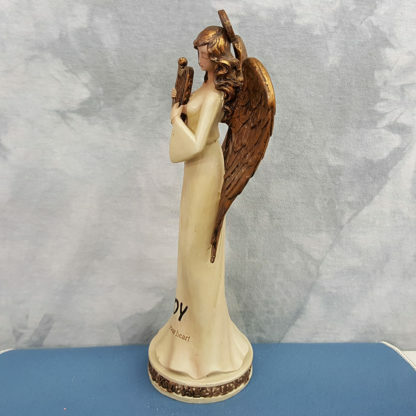 Unison Gifts 10.5″H Angel with Golden Wings Joy. 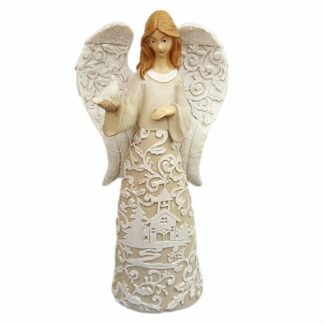 Unison Gifts brings us this beautifully crafted Angel with Golden Wings. 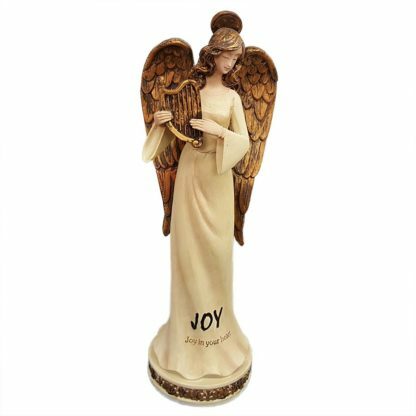 Angel with Golden Wings Collectible Joy Decoration Figurine Decor. She is spreading joy by playing her harp. Joy Angel W/ Golden Wings Decor Figurine Statue. She has the phrase “Joy in your heart” on her dress. Hand painted! She has the finest details and highest quality you will find anywhere! 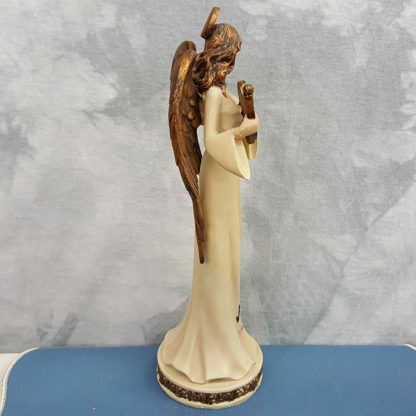 Measures 10.5 Inches Tall! 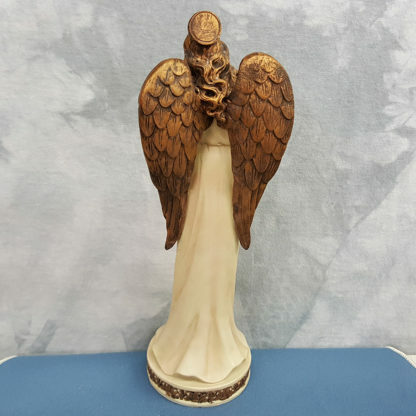 Perfect gift or decor piece for the Holiday or Christmas season! Or buy two so you can keep one for yourself!